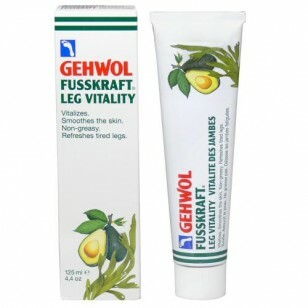 GEHWOL FUSSKRAFT Leg Vitality is a rapidly-absorbing balm for the special daily care of legs and feet. 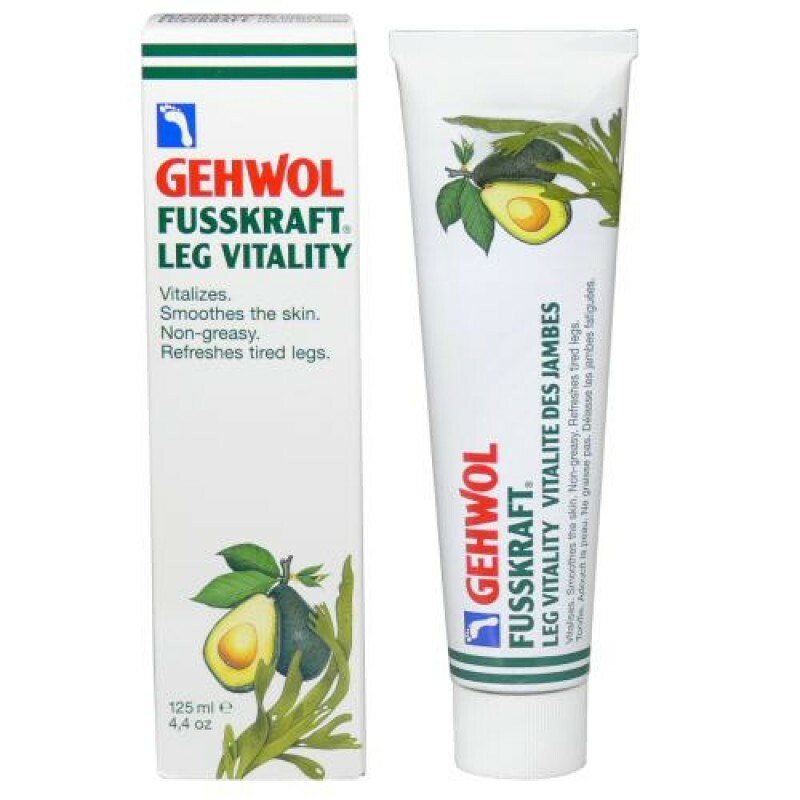 A light massage using Leg Vitality gives renewed vibrancy to tired, heavy feet and promotes smooth and supple legs. Avocado Oil, Algae Extracts and Vitamin E provide skin-enhancing benefits including the prevention of dry, scaly skin and improving moisture balance. Allantoin and Bisabolol (Chamomile component) create a protective effect while boosting the mild deodorising effect of the other herbal agents.